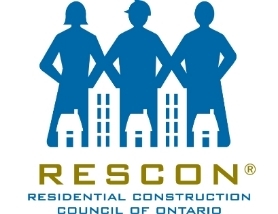 It was a heck of a year for RESCON and the residential construction industry, and we finished it with a bang - supporting the release of an independent research report on housing affordability earlier this month with a very successful event at Ryerson University. There's a few points I'd like to make about our partnership with the Canadian Centre for Economic Analysis (CANCEA): through this relationship, RESCON was well ahead of policy-makers in commissioning the report's new understanding of affordability, including the SCAR (Shelter Consumer Affordability Ratio) Index. The SCAR actually demonstrates the deterioration in affordability, unlike the Bank of Canada, and truly measures the population segments at risk. Only RESCON's funding currently has enabled CANCEA to provide a framework that shows the combined and full range of demand and supply factors affecting affordability. We firmly believe the results can help: national and Ontario policy-makers understand the consequences of their latest and potential policies; educate national and Ontario decision-makers that crucial supply-side changes need to be made with development charges and regulations; that links to infrastructure funding decisions must be better understood; and that systemic risks still remain that have not been addressed. We're proud of what we and our infrastructure partners at RCCAO (see below) have accomplished with this Toronto-based research outfit over the course of the year. Please enjoy the newsletter and let us know your thoughts at media@rescon.com! Happy holidays, merry Christmas and all the best in the New Year! Dec. 9th was an incredible day for RESCON as our panel discussion "The Escalating Challenge of Home Ownership" on housing affordability, fuelled by independent research results from CANCEA, led to a constructive dialogue at Ryerson University and the association's best day of media coverage. Click here for links to the presentation, media coverage and report details. Click here for the press release. 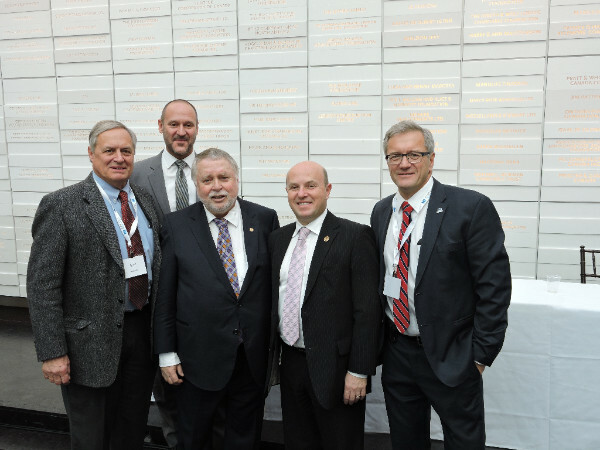 Shown from left: David Amborski, director of Ryerson's Centre for Urban Research and Land Development; report author Paul Smetanin of CANCEA; Municipal Affairs and Housing Minister Ted McMeekin; MPP Peter Milczyn; and Lyall. Panellists and organizers join together at the "Economic Returns of Ontario's Investment in Public Infrastructure" panel discussion. From left are: Paul Smetanin, CANCEA; Mark Romoff, CCPPP, Janet De Silva, Toronto Region Board of Trade; John McKendrick, Infrastructure Ontario; Andy Manahan, RCCAO; Barrie Mayor Jeff Lehman; and Sean Strickland, OCS. More than 100 industry leaders packed a conference room at the University of Toronto's Hart House for the event. Click here for Manahan and Strickland's op-ed in the Hamilton Spectator. Click here for the story in Novae Res Urbis. Builder David Speigel holds up his plaque commemorating more than 10 years of service to RESCON and the JRCA. Standing alongside him are, from left, RESCON president Richard Lyall and JRCA directors John Karababas and Craig Holloway. Speigel was honoured at RESCON's recent holiday party. Toronto Councillor Kristyn Wong-Tam, centre, holds up a Toronto Expo 2025 sign after delivering a keynote speech at the annual RCCAO holiday lunch in North York promoting the bid for the world fair. Standing with her, from left, are RCCAO board members Mike Yorke (Local 27) and Richard Lyall (JRCA); executive director Andy Manahan; chairman Phil Rubinoff; and board members Eric Lewis (HCAT) and Giovanni Cautillo (GTSWCA). See ReNew Canada for more. Heather Smith holds her RESCON scholarship award alongside RESCON vice-president Andrew Pariser. Read about Smith's journey from daycare worker to carpenter apprentice in RESCON's debut Training & Education column on rescon.com/blog. Click here for Smith's story. Our tech guru, Michael Steele, looks at net-zero and resilience and what they mean for the residential construction industry going forward. 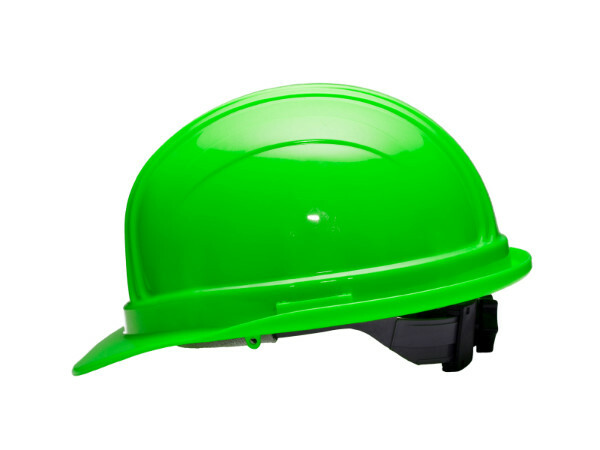 Our VP, Andrew Pariser, giftwraps a column on the WSIB rate review that is a must-read for the health and safety man or woman in your life. What a year 2015 was for RESCON and Wood WORKS! Our relationship with the wood construction advocate has never been stronger as both organizations look to improve Ontario's involvement in mid-rise wood-frame construction. Daily newspaper Metro Toronto talks to RESCON's president about the "first" six-storey residential project to come to Toronto.